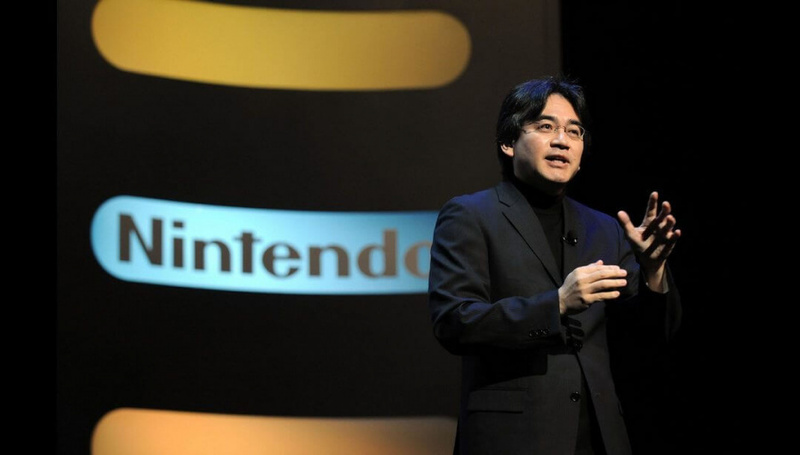 Satoru Iwata to Receive Posthumous Lifetime Achievement Award at D.I.C.E. With a summit in the days before, details have now been issued for the 19th D.I.C.E. Awards on 18th February; this is a prestigious annual event hosted by The Academy of Interactive Arts & Sciences. Nintendo picked up a few awards in late 2015 for key releases such as Splatoon and Super Mario Maker, and will now have the chance to do so again at the Las Vegas event. Of particular note is confirmation that former Nintendo President Satoru Iwata will received a posthumous Lifetime Achievement Award. In the games categories Nintendo's titles all missed out on the Game of the Year shortlist; you can see its nominees below. We're pleased to see Satoru Iwata being honoured posthumously, and in the game categories Nintendo certainly has a chance to claim a few awards. Let us know what you think of the nominations in the comments, and you can see the full list of finalists right here. Why did you go away Iwata-san......the world of Nintendo needs happy people like you. what's more painful is the words he read from fans at e-3, will it be ironic if the games they showed end up being really good like. federation force (yes it's a spin off but so is mario kart) only time will tell where he was steering Nintendo before his untimely departure. Destiny and Battlefront under-delivered on content, and Splatoon gave away oodles of free content... if either of those two win, I call shenanigans. Same with Super Mario Maker losing to Guitar Hero Live or Rock Band 4. So is Splatoon at launch. Don't get me wrong, I love Splatoon and I like how they drip-feed contents. Glad too see Iwata-san will receive an award for his amazing contributions for gaming. I agree that it is incredibly sad that Iwata had to put out flames from the post E3 fiasco, and passed soon after. Having said that though, FF was a huge misfire in terms of both timing and being a spin-off. In order to get people to welcome it, or at the very least not speak ill of it; a new Metroid, in the classic sense, needed to be announced too. Even if that meant saying it was coming to NX. Instead we got FF and a mention afterwords that Metroid isn't coming to Wii U, and even implied that it isn't even a priority for NX. We've already seen that AC:aF was a waste of nearly everything, and while I believe Next Level will deliver a solid product, the fact that Nintendo, and sadly Iwata, failed to see how badly these games would backfire is simply bewildering (the fact that Nintendo trolled us with Animal Crossing didn't help things either). Having said that, maybe they knew to a degree, hence the statement that E3 was only going to focus on "upcoming games," but I don't think they quite expected torches and pitchforks. Don't get me wrong, I liked Iwata, especially his business practices which, for the most part, were good for his everyday workers. I liked that even when Nintendo was in big trouble in 2013-14, that he held his ground and kept nearly everyone's jobs, saying that would be bad for morale. I agree with him. All too often, companies are too quick to shed workers trying to support their families. Maybe it's a culture thing, but that's what would happen in America. Cut the work force, make the others who remain work harder, then give the CEO a bonus, cause you know, why not? His pay-cut, solidified that he was just a nice guy who cared for Nintendo, and the staff as a whole. Anyway, I'm glad he's getting the award, cause he made good contributions to gaming, and what a shame that someone dies so young. Regardless though, E3 was simply a bewildering mistake. Yes, which is why I mentioned that it was all free. Battlefront has some free content coming, but then there is that season pass, which everyone is still wondering about, whether it'll be worth it. Go Splatoon!! I love the loading drum solo when you first boot the game! I crank the stereo and jam to it, making my wife MAD! Its amazing to see him being recognised for what he's done to transform the games industry, how far his influence has been spread and just how much impact he's had on everybody - players and developers alike. I can't help but think though that he should have been honoured far earlier for his services than this. Its a crying shame that he'll never be able to pick up this award in person like he should have and he'll never know just how much he means to all of us. Is there a way to vote on the games?